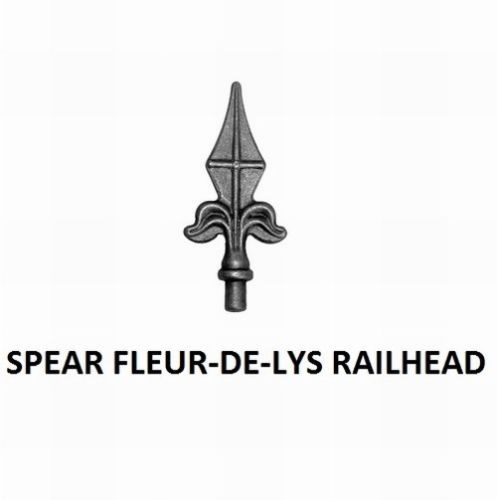 Simple metal fence panels feature spear top finials. Suitable for any home and garden location. The low maintenance Warwick Metal Fencing will provide increased levels of security to any home or garden setting. 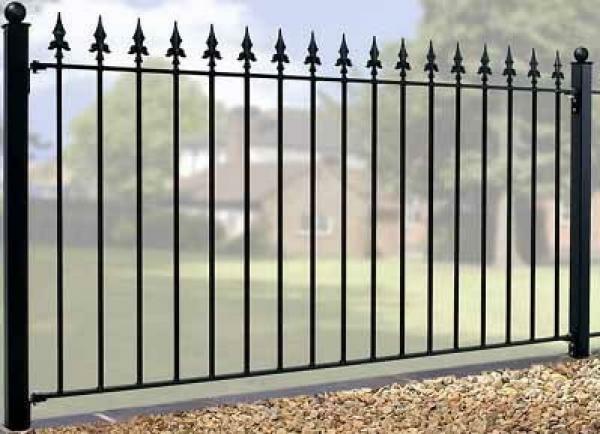 Manufactured from corrosion resistant zinc plated materials the fence panels feature timeless spear top finials that not only add to the overall appearance but will actually help to improve security by deterring anyone from attempting to climb over. 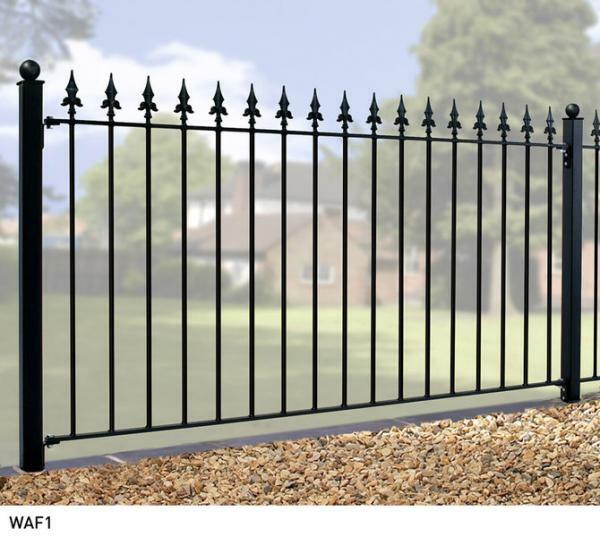 Warwick metal fencing is ideal for any residential location where added security and privacy would be beneficial. Constructed to high standard to ensure years of reliable use. Zinc plated materials help prevent corrosion from the elements. Fence panels features 25mm x 8mm metal frames and 12mm solid infill bars. Low maintenance black powder coated finish. Supplied as standard complete with a fitting pack (brackets, nuts and bolts etc). The width represents the opening into which the fencing will fit. We have already made an allowance for the space needed for the fittings. Need help ordering new metal fencing for your garden? To find answers to common queries please take a look at the ordering guide, frequently asked questions and buying guide. Alternatively if you want to speak to Garden Gates Direct please call now on 0844 804 5577 and we will be happy to discuss your specific requirements. Where no supporting structure is available to attach the fence or where a number of panels are required to form a continuous run we recommend using the following posts.